العلاج عن طريق الفن هو شكل من أشكال العلاجات التعبيرية. 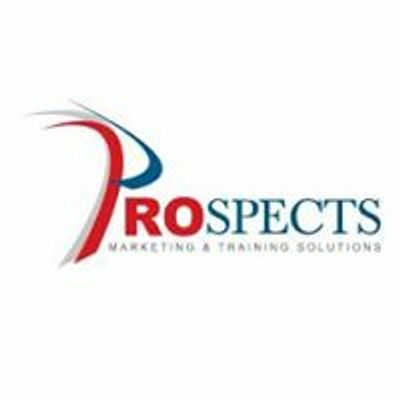 لست بحاجة إلى أن تكون موهوبًا أو فنانًا لكي تحصل على الفائدة. تم تصميم ورشة العمل هذه للمستشارين والمعلمين وأولياء الأمور ولكل من يرغب بالتعبير والتفريغ عبر الفن. Arts therapy is a form of expressive therapy. You don’t need to be talented or an artist to receive the benefits. 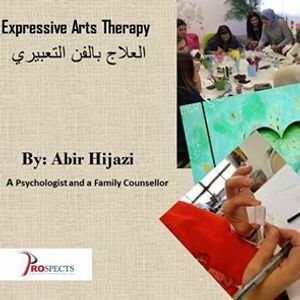 This workshop is designed for counselors, teachers and parents and anyone wants to catharsis and express through arts. - how to release pain, process emotions and unlock their subconscious mind . 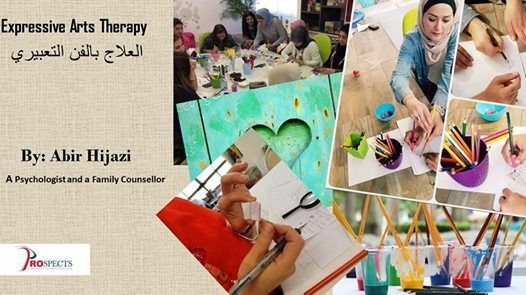 this workshop will be conducted by Well-Being Coach & Counsellor Abir Hijazi. - كيفية إطلاق الألم ، وعملية المشاعر ,وتحرير عقلهم الباطني. Intellectual and Psychological disability wether acquired or innate. Analysis of developmental and offending behaviour.